LYNX Entertainment has become known as one of the best record labels in the country, making stars of musicians such as Eazzy, Zigi, Asem, MzVee, Kuami Eugene and KiDi. However, one musician the label did not seem to have success with is the singer/rapper, Feli Nuna, who tells Showbiz that she left Lynx four years ago because her creativity was being restricted. According to her, Lynx Entertainment did not allow her to fully explore her creativity so she had to move on. She explained that she wanted to do songs that would travel globally but she was not allowed because she was made to sing in the local language. “I didn’t like their influence. My creativity was being stifled because I was made to do my songs in local languages and that was not me. I wanted to do music that was worldwide. Also, I didn’t like the kind of beat that was produced for me. “I am a creative person and always want to write and create something new but I was not allowed to do that at Lynx. “I wanted things to work because they are one of the few best record labels in Ghana but it didn’t happen so I parted ways with them” she said. Although she moved on, there is always a chance of going back but Feli Nuna said she was now with a new management which she trust would help move her career to the next level. “If things were okay with Lynx, I wouldn’t have moved but life goes on and I believe I will do well with my new record label,” Feli Nuna said. 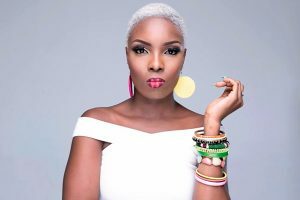 Known for songs like Galaway, Dream, I like Am, Show Me, Afro Magic, Me and You, Feli Nuna has just released a new song, Love Me Now, featuring Stonebwoy, and she wants everyone to pay attention to it because it advises couples to show love to their partners. When Showbiz contacted Lynx Entertainment boss, Richie Mensah, he denied Feli Nuna’s claims, saying his outfit always gave room for creativity. “I don’t have to talk too much because our track record shows. Almost every artiste that has passed through Lynx Entertainment makes it big ,” he said. According to Richie, there was no way he would stifle creativity when he wanted his artistes to make it out there. “It is the wish of every management team to see his or her artistes go places and I don’t think any record label would do that,” he added. The post My creativity was restricted while at Lynx Entertainment – Feli Nuna appeared first on Citi Newsroom.